The Minister of State for Petroleum Resources, Dr. Ibe Kachikwu has said there are strong indications that three modular refineries, out of 40 licenses issued, will likely come on stream by end of 2019. Kachikwu disclosed this at the 3-days Biennial International Conference for Health, Safety, and Environment, HSE organised by Department of Petroleum Resources, DPR in Lagos on Monday told participants that “out of the 40 private licenses issued to private investors to build refineries, only 10 have shown signs of progression. “Out of the 40 licenses issued, only 10 have shown progress by submitting their programmes and putting something on the ground”. “And secondly, to stimulate new ideas on sustainable ways of developing this resource in a manner that will both prolong its acceptability as an energy source and also help the nation reap optimal benefits,” he said. According to Kachikwu, environmental sustainability is a key component of the Seven Big Wins initiative of the President Muhammadu Buhari Administration for the oil and gas Industry. He said with the continuous inflow of statistics from the DPR highlighting the gory state of affairs on gas flaring and the failure of previous efforts to end the menace, the ministry had to come up with new initiatives to truly incentivise the flare-out policy by creating the new National Gas Policy. The policy he said, is aimed at ensuring that all currently flared gas, including those previously considered as non-technically feasible and non-commercially viable, is gathered and utilised for various economic utilities that are financially rewarding to the producers, adding that the collectors and interested investors can then convert it for power generation, petrochemicals, and other beneficial uses. Meanwhile, the Director of Department of Petroleum Resources, DPR, Mr. Modeccai Ladan, urged stakeholders to galvanise efforts at maximising Nigeria’s production and minimise wastage. Ladan explained that the oil and gas industry seems to be under a new threat, which is the renewed dislike and global war against fossil fuels and the quest for renewable and cleaner energy, purely for environmental considerations, chief among which is the concern about global warming. “Not only did the first two releases of Tesla outsell sales forecasts, but they were also actually oversubscribed, and the demand keeps rising while new models are being added,’’ he said. 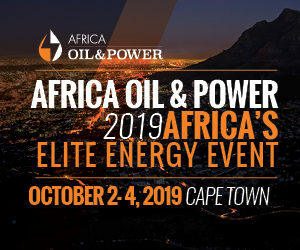 “Ladies and gentlemen, all of these points to one fact, namely, if Nigeria is to continue to benefit from its vast petroleum resources, now than ever is the time to build sustainability into its prospecting, drilling, production, transportation, and usage. 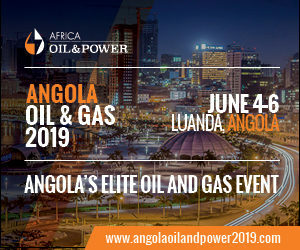 “Little wonder then that we have chosen a befitting theme for this current edition of the conference, which is: “Driving Sustainability in the Oil and Gas Industry through Improved Stakeholders’ Environmental Stewardship,” he added.